With taxes an ever present cost component of any US business or investment activity, it is imperative that US tax planning be thoroughly incorporated into your overall USA accountancy strategy. In order to maximise profitability and minimise potential exposure to tax liability, professional advice from tax accountants in America should be an integral part of your US Incorporation project. This will ensure that you are fully up to date with the latest American accountancy practices. At Start An American Company, we appreciate that forming a new business may be the single most important decision that you make. It is therefore vitally important that all aspects of American accountancy and US tax planning are fully considered. Accordingly, we appreciate that the need to agree an American accountancy structure that best reflects your company’s objectives may require some additional input. 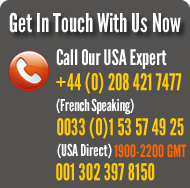 In addition to the above, Start An American Company offers a 2 hour consultation anywhere in Europe with one of our in-house USA accountancy and US tax planning experts. In order to keep costs low and our level of service high, we suggest that in the first instance you Contact Us with your initial enquiry. We will then provide a quotation for the service requested. Payment shall be required in full upon acceptance of our quotation.